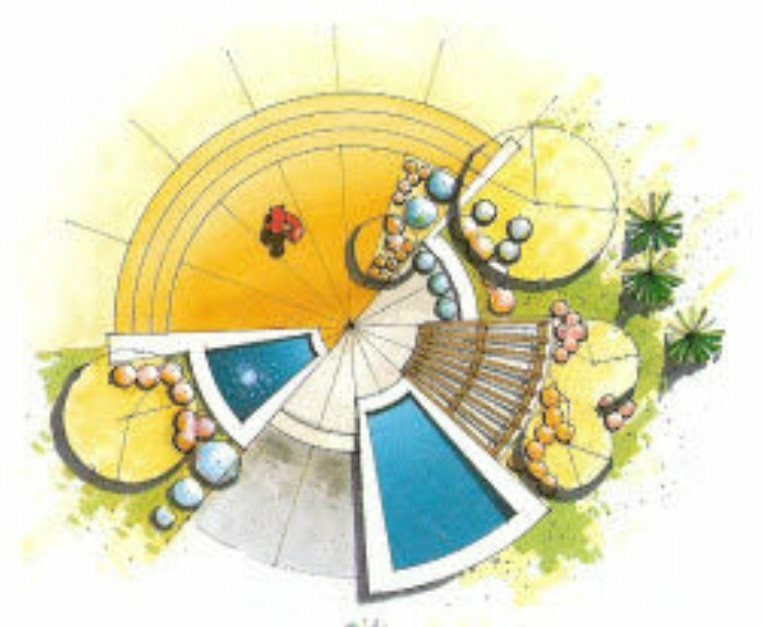 In the early stages of design development, landscape designers are thinking in terms of form composition-the combining of lines and arcs to form geometric shapes such as circles, squares and triangles. 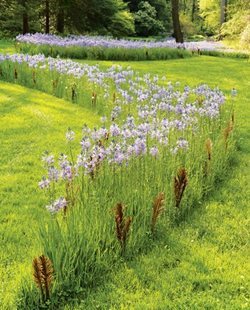 This combination of forms is what establishes the edges of each outdoor room; from bed lines defining areas of lawn to the edge of a terrace or swimming pool. The same form used repetitively throughout the design creates a "visual theme". 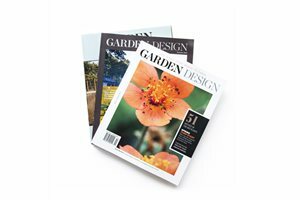 It is what establishes consistency, harmony and a sense of order in a garden space. 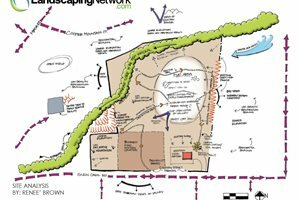 Below are six layouts for various backyard landscape types that serve as a guide to landscape designers when developing a site. The curvilinear approach to design is the most typical amongst landscape designers; even on sites where another approach would be much more appropriate. Sometimes referred to as 'natural', this is a mistake because the curvilinear forms are created from an underlying geometry following very subtle guidelines. The curvilinear design approach is most appropriate for large, open sites where the large sweeping curves can lead the eye about the property. It's also the best approach for rolling terrain where the curves can accentuate and accommodate changes in grade. The curvilinear approach is often mistakenly used on small and restrictive sites where the forms created become an inefficient use of space. 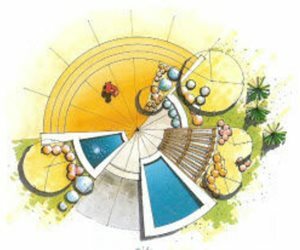 A radial theme, or circular, theme is created by using concentric circles radiating from a central point (and straight lines) or by combining overlapping circles. The illustration shows a combination of concentric circles and straight lines. This approach differs from the others in that forms are created from an underlying radial grid versus a square grid. This makes for very interesting, dynamic spaces. 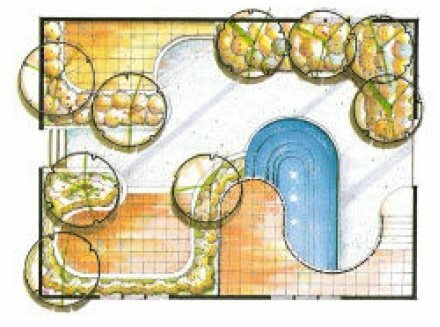 I rarely see the radial approach used in residential settings. 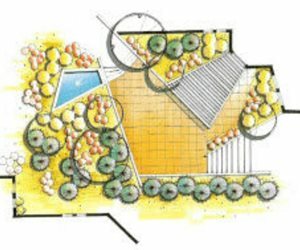 On the few residential sites I have seen it applied, the home is typically of a contemporary style and is itself designed from a radial grid (at least part of it). 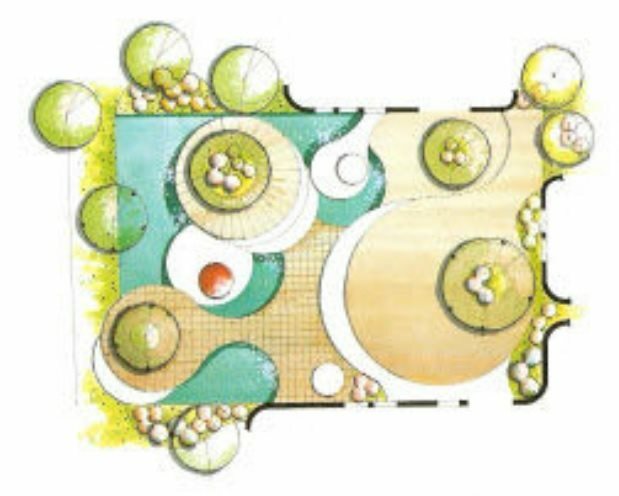 The garden simply radiates from the central point of the home following the concentric patterns. A rectilinear theme is created in plan-view through the use of vertical and horizontal lines on a square grid. 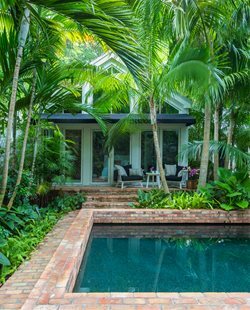 Just as a homes architecture is designed in this way, the same treatment of the garden reinforces the rectangular layout of the home. 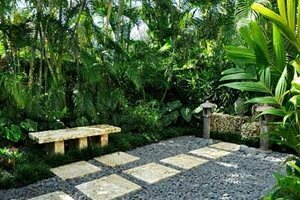 The rectilinear theme is most appropriate for creating garden spaces, or rooms, that serve as an extension of the home-decks and patios for instance. 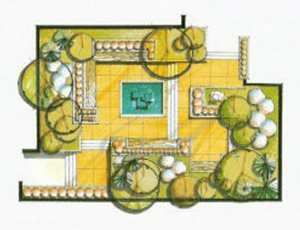 Backyard partitions can be helpful when trying to create distinct and separate spaces. This approach ensures for a much more efficient use of space. 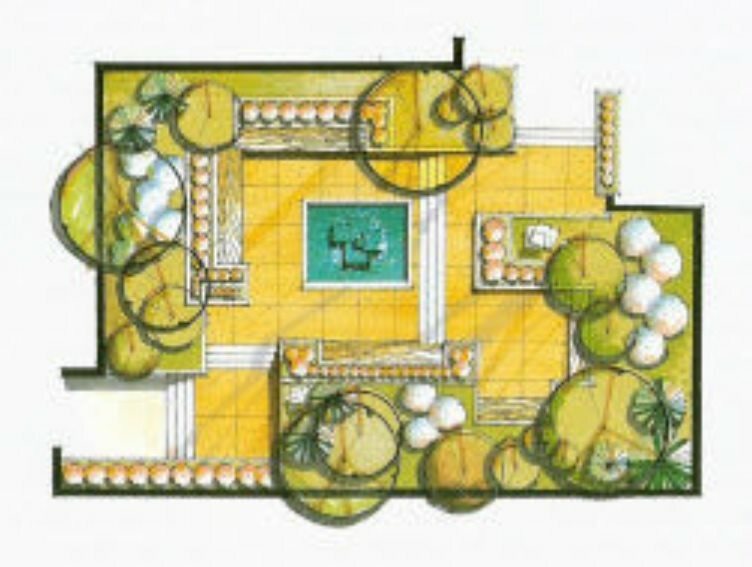 The rectilinear design theme is also ideal for restrictive sites like city gardens enclosed by fences and walls. Level ground is best for this theme although slopes can be terraced to extraordinary effect using a rectilinear approach. Because this approach is more orderly and logical, it suits formal architectural styles perfectly. Often referred to as the diagonal approach, forms are created in the same way as the rectilinear approach only diagonal lines are introduced; most typically 45-degree although lines of 60-degree are acceptable. 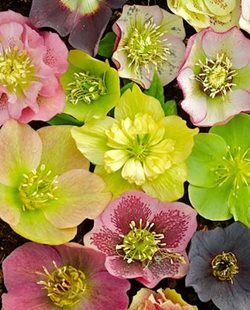 Often times this theme will be utilized without the vertical and horizontal lines. These diagonal lines can make a space more dynamic and exciting as well as make a space seem larger. 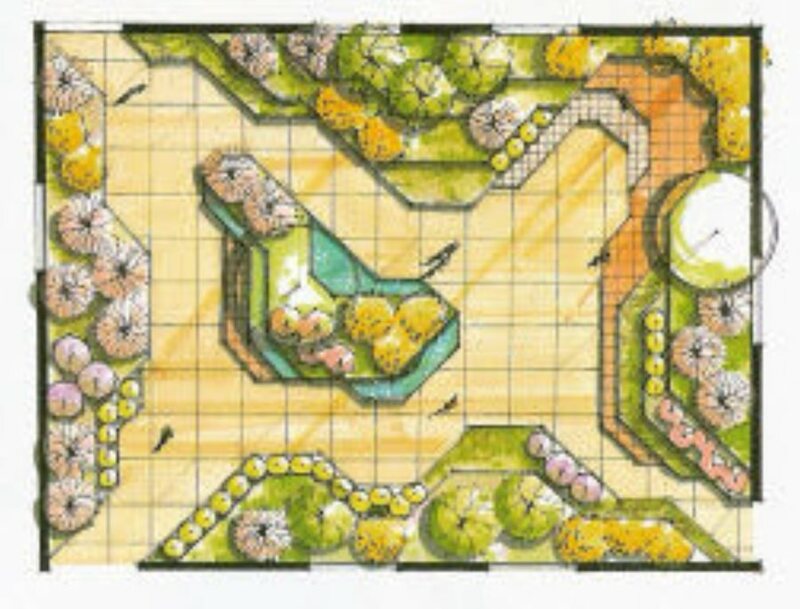 This approach is used on similar sites as the rectilinear approach only less with formal, traditional architecture. I've seen the rectilinear-45 approach utilized very successfully with contemporary, modernist homes designed from similar diagonal lines. The arc-and-tangent approach is a combination of the four previous approaches. 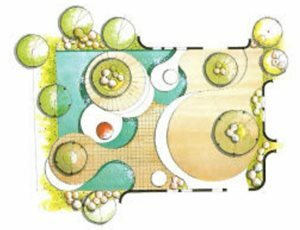 Using vertical, horizontal and 45- degree lines with arcs and circles, a well-organized and dynamic space can be created. I find that the arc-and-tanget approach can be well adapted to many different types of sites and architectural styles. The straight lines provide a feeling of structure while contrasting with the more "natural" soft curves. 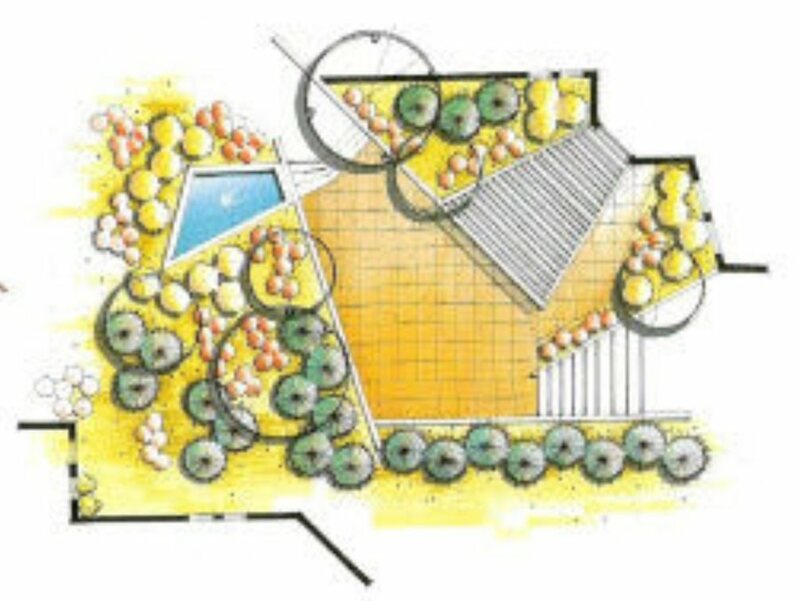 I've seen this approach used successfully on large sites where larger and more numerous arcs are introduced as the garden moves away from the home towards a woodland or open field. The irregular theme combines multidirectional lines on a square grid; not restrictive to only 45-degree or 60-degree lines. 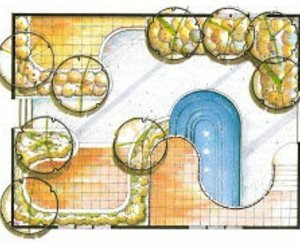 This approach can make for a very bold and complex space. As with the radial theme, this is not common on residential sites, although I have seen it executed effectively with contemporarystyled homes on occasion.